This morning I said goodbye to my home of the last 6 days and jumped on the Shinkansen again, this time to Hiroshima. I decided to get a fairly early start since 2 days is all I have planned to see Hiroshima as well as nearby Miyajima Island. Today’s weather was in stark contrast to yesterday. Whereas yesterday was all sunshine, today was all clouds and constant rain. Oh well. At least it was still warm. I arrived into Hiroshima Station and legged it to my hostel to be for the next 2 nights. A bit smaller than Kyoto, but charming nonetheless. All I did however was dump the backpack and head off into Hiroshima. 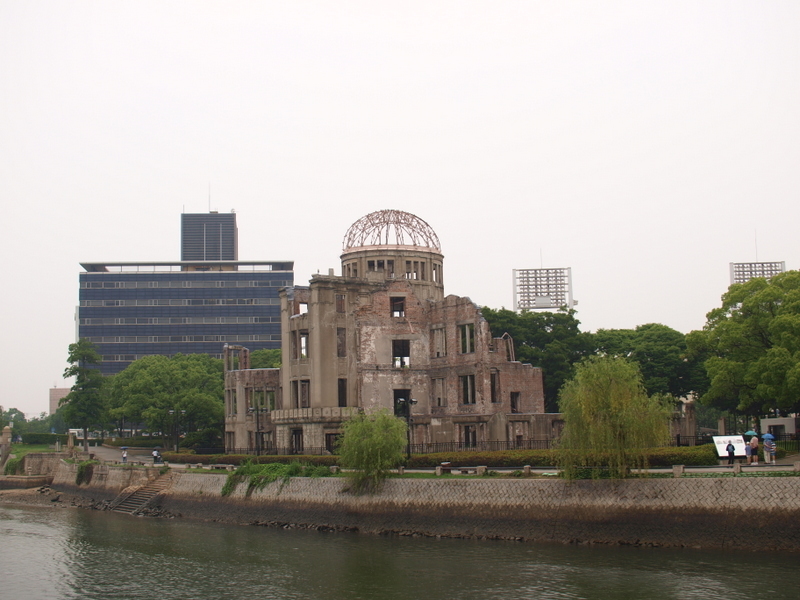 The location of the hostel was literally 2 minues walk from the main reason people come to Hiroshima… the Peace Park and its associated sights. The rain only seemed to add to the atmosphere. A number of memorials exist to 6th August 1945. The cenotaph and its flame house the names of all those that have died due to the events of that day, both at the time and also long after due to the lingering effects. 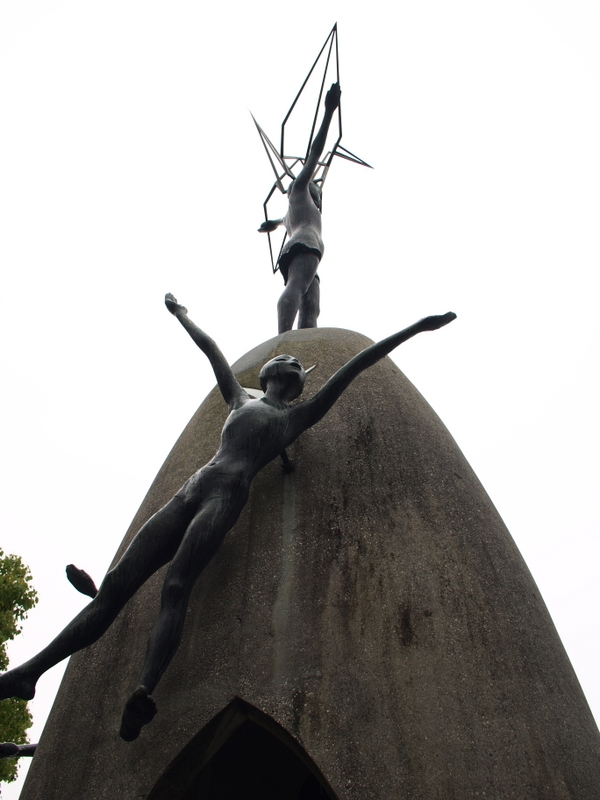 But the most compelling memorial in the park is that dedicated to Sadako Saskai and the children who perised. 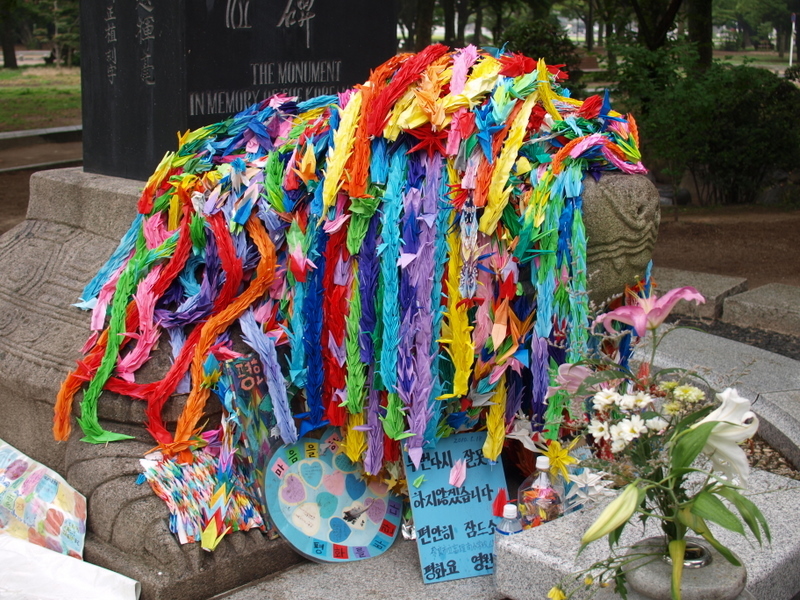 Sadako passed away of lieukemia almost a decade after the bombing, however during her sickness she folded over 1000 paper cranes, blessing each one with a wish for peace. Knowing that, and seeing the thousands more cranes that are continually left in her memory is moving to say the least. 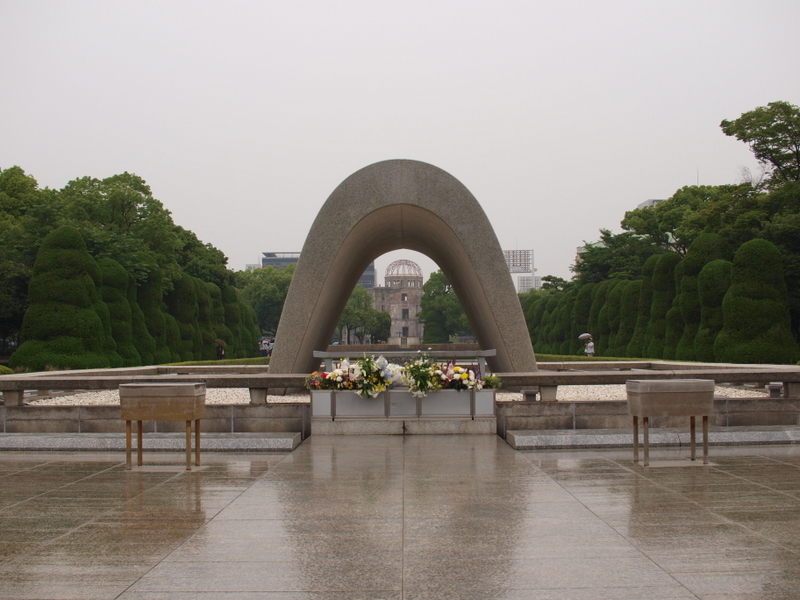 The A-Bomb Dome is the most visual reminder of the impact. The city refused the urge to tear down the remains of this building to leave it as a permanent reminder of the horrors of the day, but also an urge to not let it happen again. But all of this doesn’t prepare you for the Peace Memorial Museum. The first level explains in great detail the events leading up to the day, both from the Japanese and the Allied perspecitves. But as you work your way up to the next level of the museum you are well and truly confronted with the real horror. I can’t say I was really ready. Many photos show the impact of the day on not just the landscape but the people. But what kicks you in the guts are all the artifcats… burnt clothing, even some minor human remains. It is hard to say too much about it that can really indicate the sheer gravity of it all. So it was time to get some fresh air again! Off it was to wander some more. In my wander just near the park I came across the hypercentre of the bomb… the exact location under where it detonated. Amazingly this is afforded just a small stone memorial, but it is still adorned with the paper cranes that permeate the park. 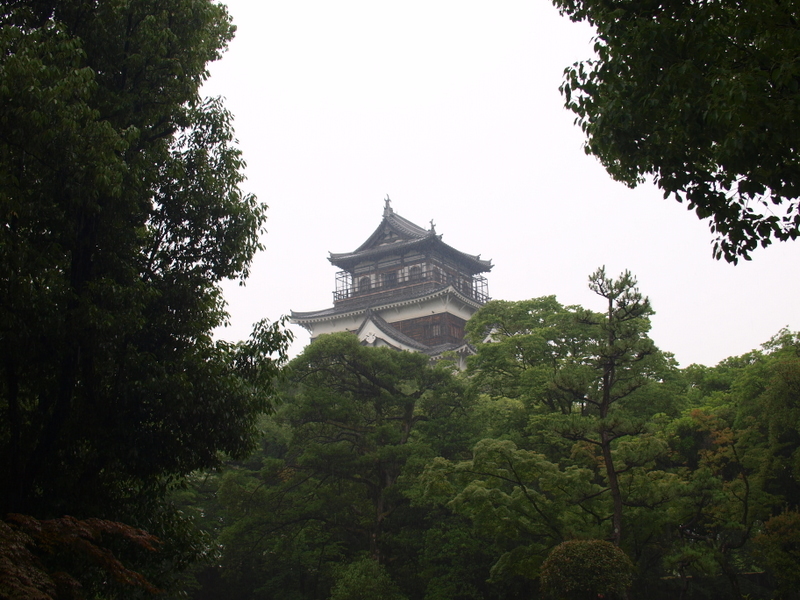 Heading around the main streets of Hiroshima, I came across the city castle. This was always going to be an odd one given that I assumed it would have been leveled in the blast (I was right). But in the essence of preserving history it was recreated. As such, while it is certainly pretty cool, it lacks the history (and scale of course) of something like Himeji. Which brings me to the title of the blog. I was hungry. Damn hungry. 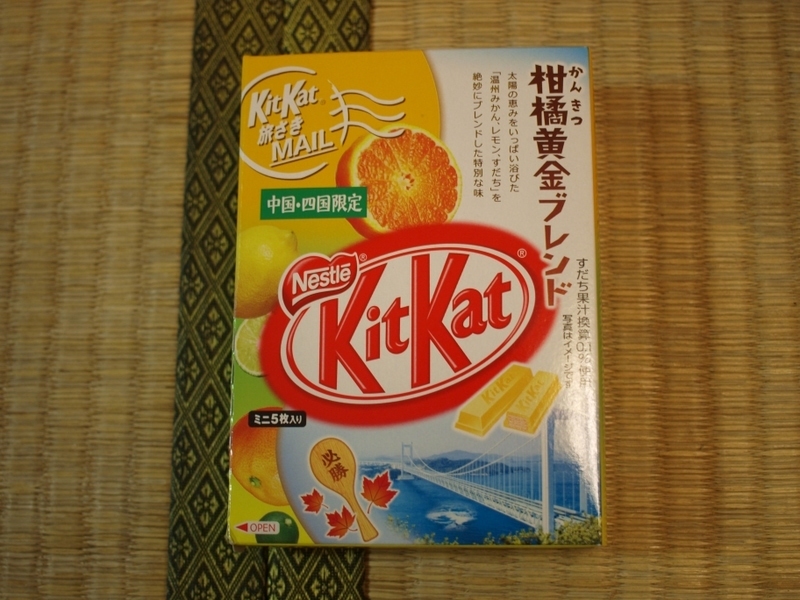 And I knew that while in Hiroshima I had to sample the local version of Okonomyaki. What’s the difference? Well, here in Hiroshima they have a layer of noodles as a base. So in one of the side streets near the hostel I chanced upon a very small place that looked homely and inviting so in I went. And man was it inviting! Seated at the grill I watched as my host cooked up a HUGE local-style okonomyaki. I have never seen so much cabbage, bean shoot, pork, onion and noodle packed together. And how was it? Well, I can’t understand why noodles aren’t the standard. It was great! It took all my eating prowess to get through it. Which is where things got funny. There were a handful of others in the restaurant/pub, including a couple of older guys I said hello to when I arrived. They seemed to have limited english but asked where I was from, so I told them and told them I was very happy to be here and I was having a great time. As I got close to the end of my okonomyaki the hostess asked if I liked oysters. It seemed as though Hiroshima has a specialty for oysters too and the two gentlemen wanted to treat me to a sample. Who was I to say no? So I then proceeded to enjoy half a dozen lightly coated and grilled oysters with bacon (Hiroshima style too I believe), which my new friends would not share. They wouldn’t even accept a drink in return. So by the end of this meal, I was in a divine place. So very very full. Hiroshima!! What a special place to be. We know that you will enjoy Miyajima today!!! All the best (GO PIES tonight and GO JAPAN early next week). Good work Unkie Matt! 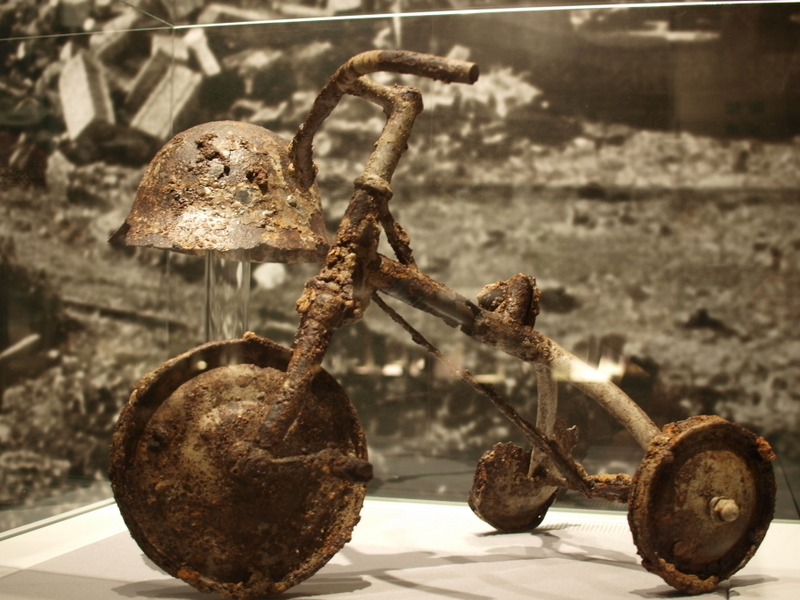 Glad you made it safe and sound to your next destination, Hiroshima sounds like another amazing place. 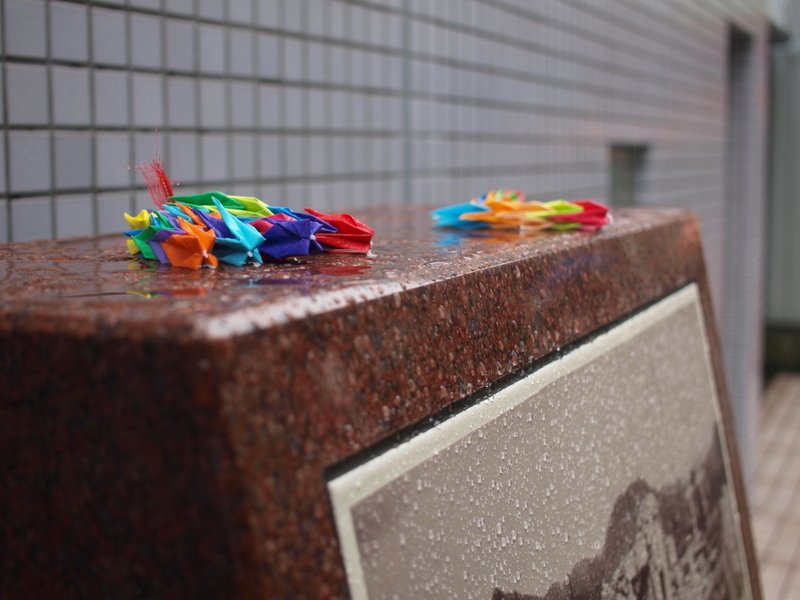 You had better start folding paper cranes by the sounds of it ….fold some for the kids and I too. Ella and Jake send hugs to their favourite Unkie, keep having fun and thanks for the email! Go Pies! !